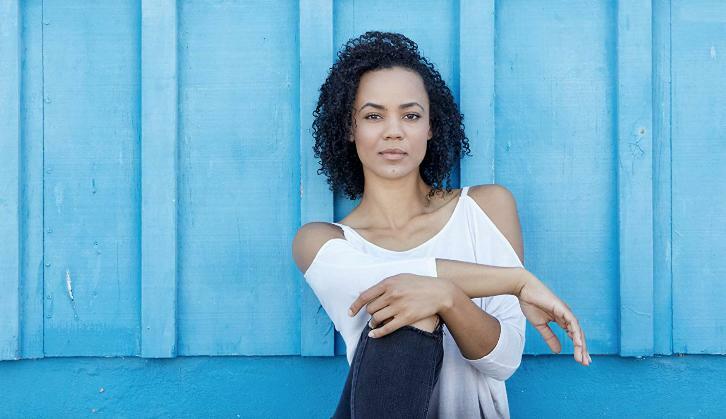 Maria Sten (Channel Zero, Straight Outta Compton) has been cast to co-star in a series regular role as Liz Tremayne opposite Crystal Reed in DC Universe's upcoming series, Swamp Thing per Deadline. The drama based on DC characters hails from James Wan in association with Warner Bros. Television. Swamp Thing is set to debut on the newly created streaming service in 2019. Mark Verheiden and Gary Dauberman will pen the script with Wan, Verheiden, Dauberman, Michael Clear, and Wiseman executive producing the live-action DC series. Len Wiseman (Sleepy Hollow) will direct. Swamp Thing follows Abby Arcane (Reed) as she investigates what seems to be a deadly swamp-born virus in a small town in Louisiana but soon discovers that the swamp holds mystical and terrifying secrets. When unexplainable and chilling horrors emerge from the murky marsh, no one is safe. Liz Tremayne (Sten) is a close childhood friend of Abby Arcane's, who splits her time between reporting for the local paper and bartending at her aging father’s roadhouse bar. Her no-nonsense attitude belies a deep compassion for her friends and family as she sets out in her uncompromising quest to expose the secrets that threaten her beloved hometown.